Climate change is responsible for many disasters across the world. A new catastrophe can now be added to the list. El Niño-La Niña, known as ENSO, is the periodic warming and cooling periods of the equatorial eastern and central Pacific Ocean that affects the world's climate the most. Heat, oxygen, fuel and an ignition source combine to start wildfires, but where and how quickly a fire moves depends on the terrain, the types, and condition of vegetation present and the weather, said Andres Holz, the study's co-lead author. 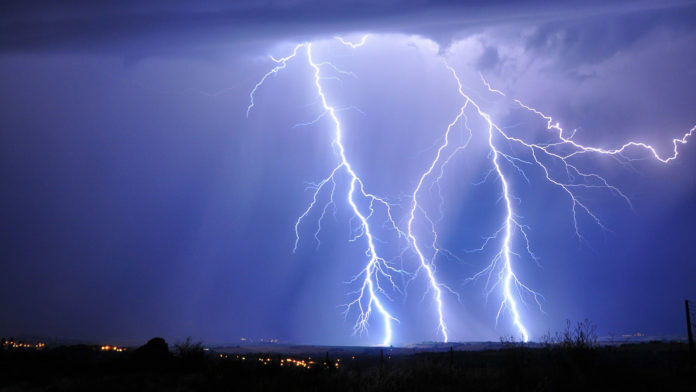 The study found that of the three climate drivers, the SAM had the strongest impact on fire activity - both lightning- and human-caused wildfires - due to a combination of lower precipitation and higher temperatures, said Holz. During the positive phase of SAM, the westerly winds contract toward Antarctica, leaving large areas in southern South America, South Africa, and Australia rain-free. The recent positive trends in SAM are attributed to increasing greenhouse gas levels and the hole in the ozone layer. "Now the winter is not as rainy and the summer is longer, drier and warmer," Holz said. "We think that by having warmer oceans and warmer temperatures in general, we're going to see higher evaporation and heat transfer, and thus higher frequency of convective storms that in turn results in more lightning-ignited fires," Holz said. "And with a climate mode such as SAM stuck in its positive, fire-prone phase that seems to amplify climate change, it doesn't look good." On the flip side, areas that are dry year-round will likely see a decline in fire activity with global warming unless there's a strong increase in rainfall. "These trends are expected worldwide, not just in the Southern Hemisphere," Holz said.